Years ago when I had no idea who I was and what I wanted to do with my life, I decided to ask myself a few deep questions. I decided to sit down with myself and find out whether the many stories I was telling myself about what was possible and impossible, were true. And it turns out they weren’t. Questions have power – great power, creative power. And by addressing deep questions To yourself, you will get profound answers From yourself. 1. When was the last time I told myself “I love you”? 2. Am I a better person today, than I was yesterday? 3. Are my actions guided by love, or by fear? 4. Am I a good example for those around me? 5. Is the life that I am living the life I want to be living? 6. What would I do with my life if I knew there were no limits? 8. Am I a Human Being or a human Doing? 9. Am I following the crowd or am I listening to my own heart and intuition? 10. What would I do differently if I knew nobody would judge me? 11. Do I treat myself with the love and respect I truly deserve? 12. Why am I so uncomfortable with talking to people I don’t know? 13. What is one thing I could start doing today to improve the quality of my life? 14. 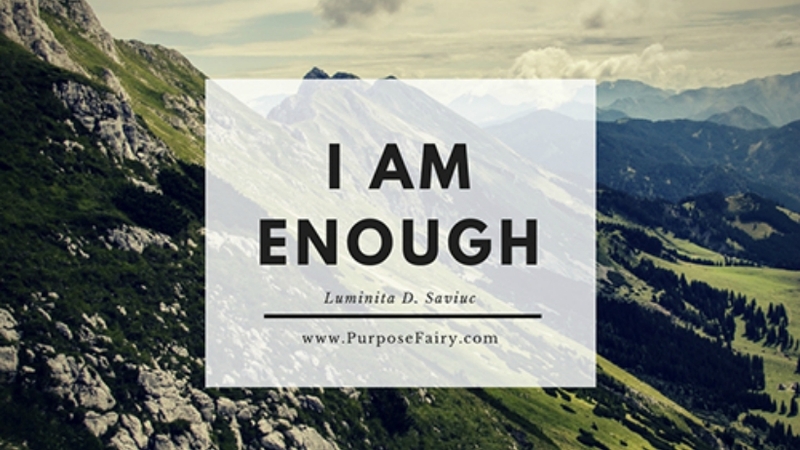 When was the last time I told myself “I am enough“? 15. When was the last time I heard the words “I love you”? 16. When was the last time I did something nice for myself? 17. When was the last time I learned something new? 18. When was the last time I did something fun? 19. Am I a happy person? 20. Am I a source of inspiration for my friends and family? 21. Who inspires me the most in this world? 22. If I were to give one piece of advice to a newborn child, what would it be? 23. Am I holding onto something I need to let go of? 24. Is there someone who has hurt or angered me that I need to forgive? 25. What can I do today to live a better life tomorrow? 26. When was the last time I read a book that had a major influence on me? 27. When was the last time I said “I love you” to someone? 28. When was the last time I made a new friend? 29. Does my presence add value to those around me? 30. Am I a pleasant person to be around? 31. What parts of my life don’t reflect who I am? 32. What has my heart and intuition been telling me that I might be ignoring? 33. Am I on the right path? 34. Where am I not being honest with myself and why? 35. Who is that one person I can talk to about just anything? 36. Am I comfortable with being uncomfortable? 37. Do I enjoy my own company? 38. Can I be alone without feeling lonely? 39. What is one thing I love the most about myself? 40. 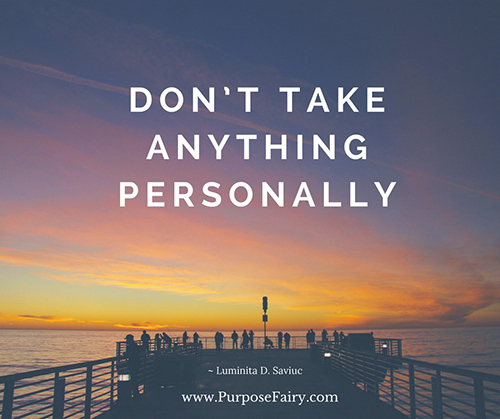 Do I take things personally? 41. What makes me happy? 42. What do I think about when I’m alone? 43. What am I most passionate about? 44. Where will I go after I die and what’s going to happen to me? 45. Who are the people that believe in me? 46. What do I want to be remembered for? 47. If I were to die tomorrow, would any of this matter? 48. If I could live anywhere in the world, where would I live? 49. Do I love myself as much as I expect others to love me? 50. What am I most thankful for?